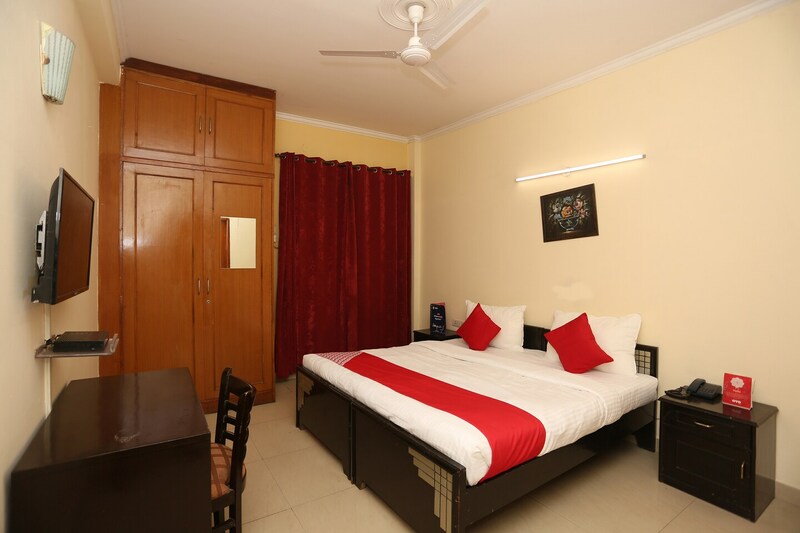 Hotel Flagship Divine Inn is located in Sector 56, Gurgaon, 5min away from Sec 56 Rapid Metro station. The wooden furniture of the rooms are perfectly color coordinated. It has a lavish seating area too. The several amenities that the hotel offers include Free Wifi, King Sized Bed, AC, TV and Mini Fridge. A number of restaurants and fine eateries including Foodies Gourmet Kitchen, The Ark, Little.Big, Asia Alive - DoubleTree By Hilton, and The Food Store - DoubleTree By Hilton lie extremely close to the hotel.